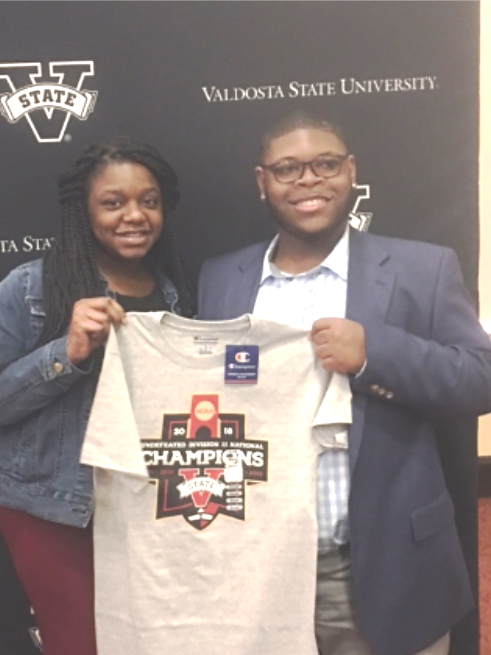 Charles Grissom (2018 Sullivan) and Naya Whitus (2019 Sullivan Scholar) attended the first VSU Inaugural Sullivan Summit held in Valdosta on January 26. Sullivan Scholars, parents, school administrators, and superintendents from 20 districts attended. Read more about the summit in the February 2019 issue of the Eagle's Nest newsletter.